Through positive behaviour reinforcement I am to create a respectful and caring classroom environment. Our class is a faith-filled community of learners who are models of the RRSP (respect, responsibility, safety, and praise) in our school. 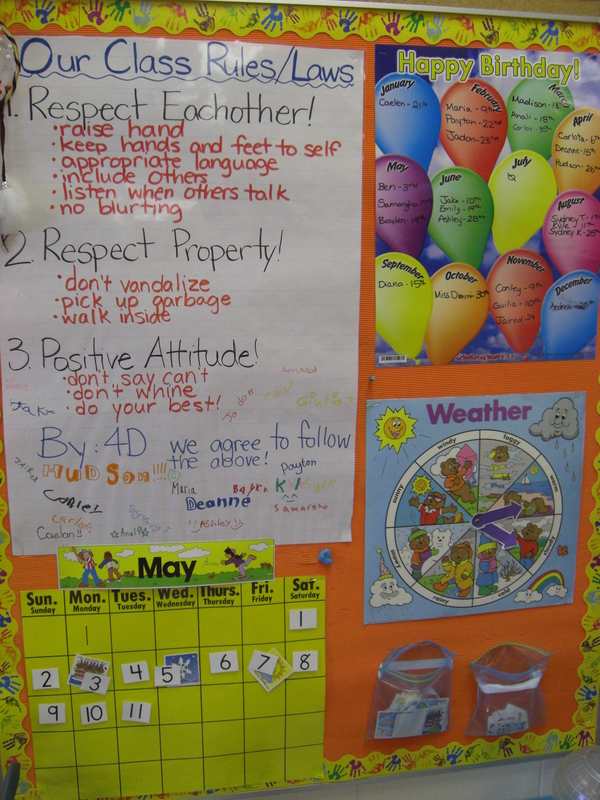 Through a safe and positive classroom environment I am able to build relationships with my students to manage behaviour. I have always found parents to be supportive of good classroom behavior to ensure that their children receive a quality education. I believe in using a Positive Behaviour Approach to ensure good classroom behvaiour. The focus of this approach is on establishing, maintaining and reinforcing the positive behaviour of the majority of students by providing clear expectations, but it also addresses problem behaviour. Students are reinforced for behaving in socially acceptable ways and encouraged to carry this learning and positive behaviour into their homes and the larger community. The goal of this approach is to facilitate academic achievement and healthy social development of students in a safe, supportive learning environment. Respect myself, others and everything around me. Praise and celebrate myself and others. Every student has the right and responsibility to learn. Respect the dignity of people. Respect property – yours, and others. Assignments must be neat, complete, accurate, and on time. One of the ways positive behaviour is reinforced is through a classroom expectations, rewards, and consequences. Students are constantly able to receive checkmarks for their positive behaviour. As a class we will work towards a class reward. In our classroom, appropriate behaviour is expected of all students in order to foster a safe and caring learning environment for all members of our community. All students worked together on the same themes studied; however, each student may employ a different way to complete assignments. Within the context of each theme, expectations of individual students may vary. Pending on the student expectations will be created. Students are treated fairly, but not equally as it is almost impossible. Each child is different and has unique needs and wants.